One of the first dealerships I had any experience with was the largest Acura dealer in Southern California. Of the 16 Acuras my family has purchased over the years, seven of them were purchased at this particular dealership. It was not until my parents decided on the 2008 Acura TL Type-S that I had any dealings with this dealership. Seeing as how nearly every Acura we owned was purchased from this dealership, I naturally thought that they would be willing to work with us on the pricing on account of our customer loyalty. Not only was this dealership not willing to negotiate pricing, like any other dealership would, they treated us quite poorly despite our years of customer loyalty. This led to the purchase of our TL Type-S from a different Acura dealership and the termination of our relationship with this particular dealer. What this experience emphasized was that customer loyalty often does not necessarily matter to large dealerships, especially ones that believe they can bully their customers on account of having a lot of inventory. However, that experience was far from my worst. Near the end of the lease on the 2008 Acura TL Type-S, I was tasked with searching for its replacement. Since I had already purchased my 2007 Honda S2000 by this time, my goal was to look for a car that my mother (the primary driver) would want, and she expressed interest in a coupe. Seeing as how there had always been an affinity towards BMW, I decided to look at the 2011 BMW 328i coupe. Walking into the local BMW dealer, I was neither greeted nor acknowledged, so I walked up to the reception desk and asked to see a salesperson regarding the car. After waiting over 20 minutes, no one had come to get me, all the while, at least three customers who had come in after me had already been helped. Finally, a salesperson was flagged down and I explained that I was there to check out and test drive the 328i coupe. At this point the salesman promptly cut me off, offered to hand me a brochure, and tried to send me on my way. Annoyed that I waited nearly 30 minutes just to be brushed off, I turned and walked out the door. My S2000 was parked near the front of the dealership so when I unlocked the doors, the salesman must have seen the lights flash and immediately chased after me and asked if the S2000 was mine. When I acknowledged this, the salesperson's demeanor completely changed. He suddenly became friendly, and offered me a test drive when only moments before he had completely dismissed me. This just pissed me off more so I left. The fact that the salesperson judged me based on some aspect of my appearance and treated me poorly because of that judgment ended up costing them a sale. Of course, not all my experiences have been bad. There are two dealerships that come to mind that truly stand out for their exceptional service, and salespeople who at least act like they care more about the customer than their commission. 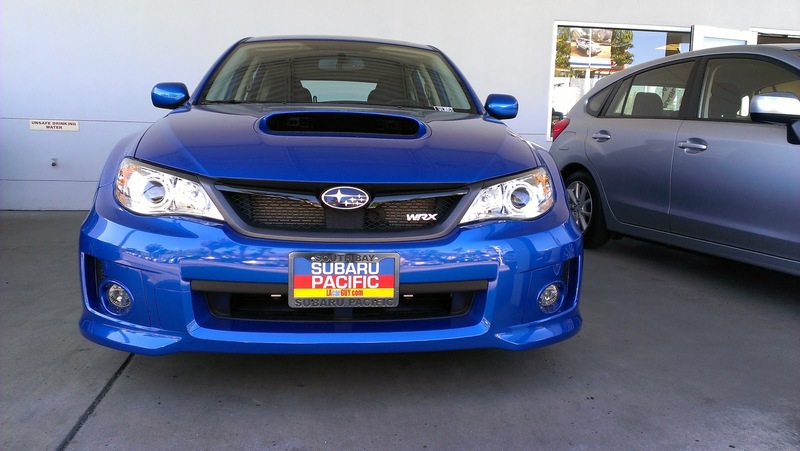 The first dealer is Subaru Pacific, that opened last year near my home. Each time I went there to test drive a car, whether it was the WRX 5-door or the BRZ, I was always greeted by a salesperson, and treated with respect. However, my best experience came when I went in to test drive the BRZ. The salesperson was a fellow car enthusiast. This gave us a common interest on which to build a connection, which meant that we had something to talk about before we went on the test drive. After explaining that I had come to check out the BRZ for our blog, he happily grabbed the keys, and never once pressured me into buying the car. This is the type of person that makes a great experience: zero pressure, friendly demeanor, and someone who actually knows about the cars he's trying to sell. If I were in the market for a Subaru, you can be sure he would be the first person I would call. My next great experience was with the Acura dealer where we ended up purchasing our 2008 Acura TL Type-S, as well as all subsequent Acuras. After the poor experience with our old dealerships, Santa Monica Acura was the next closest dealership that had the car in the color we wanted. After exchanging emails with them, I knew that the salesperson selected to handle our case would treat us like the loyal Acura customers we were and not just another transaction. However, when we returned in 2011 for the Acura RL, the original salesperson who handled our TL Type-S had already retired. Instead, our file was passed off to another salesperson and he too, was exceptional. Still our current contact at Santa Monica Acura, the saleperson went above and beyond the call of duty to get exactly the car we wanted. When our 2008 MDX was ready to be traded, we went back to them for a 2011 Acura MDX. The salesperson understood that people do not like spending all day in the dealership haggling over the price so we worked all of the details out via email and all I had to do was go into the dealership to sign the paperwork and take delivery. With our current vehicles, the 2014 RLX and 2014 MDX, we were in and out of the dealership in roughly an hour and it probably could have been quicker had I not requested to take a bunch of pictures. In the cases of my bad experiences, it was always because the salespeople were more concerned about their commission than the customer, forgetting that it can be important to build long-term relationships for the sake of future sales. If you did not look like you could afford the car or were serious about buying a car that day, then expect to be ignored or given lousy service. Of course, not all salespeople are like that. In the case of my two most positive experiences, I am fairly certain that both those salespeople were also paid on commission, but these two gentlemen went above and beyond the expectations of most salesmen and were truly helpful people that I would gladly work with again and recommend to my friends and family. If all dealers employed people like these two, I think car dealerships would have much better reputations and there would not be such intense interest in cutting them out of the process through the direct-to-consumer approach. 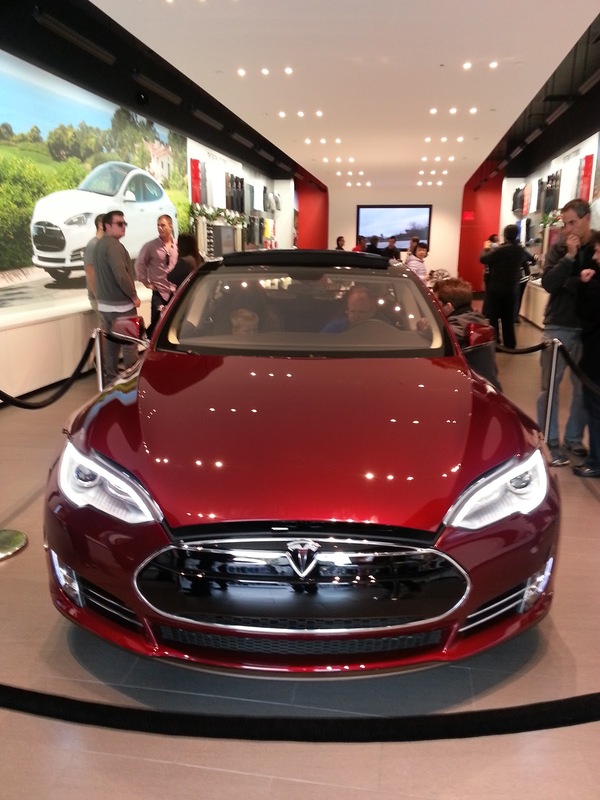 Have you had particularly good or bad experiences at car dealerships you have dealt with? Please share your stories with us in the comments.